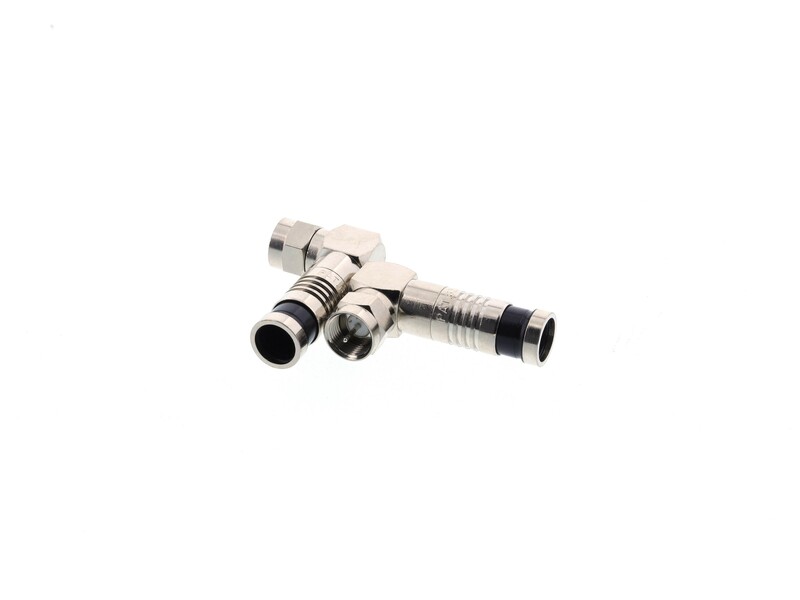 With our Gem Compression F Connectors - RG6 - Plenum - Male - Single Piece from the Computer Cable Store™ you can stay up to date. The satellite and cable television industry is quickly adopting High Compression Connectors as the new standard for coaxial termination. High Compression Connectors create a highly reliable and permanent coaxial termination that is also moisture resistant. Quickly becoming the standard in satellite and cable television installation, compression connectors provide reliable connections and resistance to moisture. To reduce the effects of oxidation a quality nickel or gold finish is used to ensure these connectors will stand up to the most unforgiving environments. Compression connectors make use of a internal compression ring and a tapered ferrule to create a unique moister barrier preventing moister from seeping under the jacket of your cable. All High Compression Connectors require a specific compression tool.